Below is Hon. 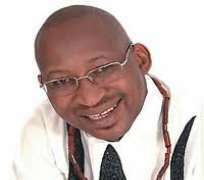 Patrick Obahiagbon's reaction on Prof. Festus Iyayi death which happened on Tuesday by a car crash in Governor Idris Wada's convoy on his way to a meeting in Kano to call off the ongoing ASUU strike. ..
"The grand initiation of Professor Festus Iyayi is a lancinating loss of another stentorian voice, against retrograde and prebendal forces of primitive mercantilism. That he passed through transition on matters pro bono publico, bears eloquent testimony to our state of dystopia. Such is the evanescence of life.Its all vanitas vanitatum."